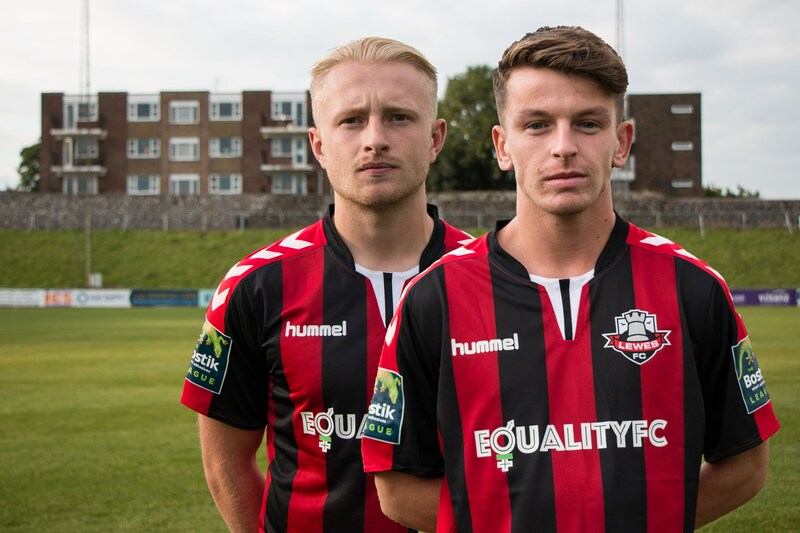 Lewes FC is pleased to announce that midfielders James Hammond and Ronnie Conlon have signed new contracts with the club. Both are signed until the end of this season with the option to extend the deals until the end of 2019/20. The duo - both 21 - were pivotal in the club's promotion bid last season. Hammond made 43 appearances and scored four goals, including the very first goal of the season in the dying seconds of our game at Herne Bay. He was voted the Manager's Young Player of the Season. Ronnie Conlon - who has graduated all the way from the Academy to first-team regular - made 45 appearances in total last season, scoring six times. His performances earned him the Supporters' Young Player of the Year Award. "Ronnie and Hammo are a big part of what we're trying to build," said manager Darren Freeman. "They are two young players with maturity in the way they play." "They've gained valuable experience over the past two years. Ronnie did exceptionally well last year and Hammo is continuing to get better and better, and we have to realise how young they both still are." "I'm delighted to get both on contracts," Darren added.